In the early 15th century, women were not allowed by law to act. Smooth faced men or young boys played the female roles. Evidently, that did change. Women started acting and in rather prominent roles and people began to think that the misogynistic industry was becoming pro-women. What they didn’t realize is that it just got worse. Apart from a handful of movies, the rest are pretty much the same- the compelling, all-powerful male lead and the female who always needs protection. It gets much worse down south where most movies have the heroines in cameos, where their roles are about ten minutes long in three-hour movies. Even in romantic comedies- the heroines are finally blamed for all the issues in the relationships and are made to grovel and beg for forgiveness to the triumphant, proud heroes. 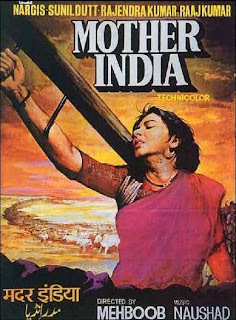 After all- most directors down south -and for that matter all over India- are male. Why would they bother about gender equality? Instead they give their free advice about women through their films, calling women ‘domineering’, ‘unpredictable’ and ‘helpless’. This chauvinistic attitude shows very clearly in the usage of dialogues such as- ‘women should keep silence’, ‘women should be modest’, ‘women should keep their head held low’ and other such nonsensical expressions. In action flicks the heroes are immortalized and given super-human powers while the heroines will be standing quietly in the side lines or playing the role of the annoying saboteur. It is a dismal fact that the Indian film industry- the most popular, powerful, not to mention one of the richest industries- suffers from a male superiority complex. The terms ‘arm-candy’ and ‘eye-candy’ are not only derogatory and insulting, but disappointingly the only way to describe the parts heroines play in majority of the Indian movies. There are a handful of movies that are women-oriented and portray females in respectable roles, however, how many of those are really there? The Indian film industry is a jingoistic film industry. It is an industry where young women who are barely 20 are paired with males who are much more than thrice their ages. It is an industry where actors can act till whatever age they please, but actresses have shelf lives. An expiry date. It is an industry where actors can continue acting long after marriage, but the minute an actress gets married, nobody wants to get her to sign even a single movie. It is an industry where even fifteen-year-old girls are made to perform osculating scenes without even the slightest bit of consideration that they are barely eighteen, and still minors. The presence of such a mind-set is what is holding back the industry from progressing. Women-centric movies have proven to be explosively popular in the past: for example- Kahaani,English Vinglish, The Dirty Picture, Nagaina etc. in the north and the 100 crore film Arundhati from the south. I really don’t see the use of celebrating 100 years of Indian cinema if this basic issue cannot be addressed. It is very depressing to see such talented actresses having to perform such menial roles out of no fault of their own. It is horrible, completely unacceptable and hopefully temporary.